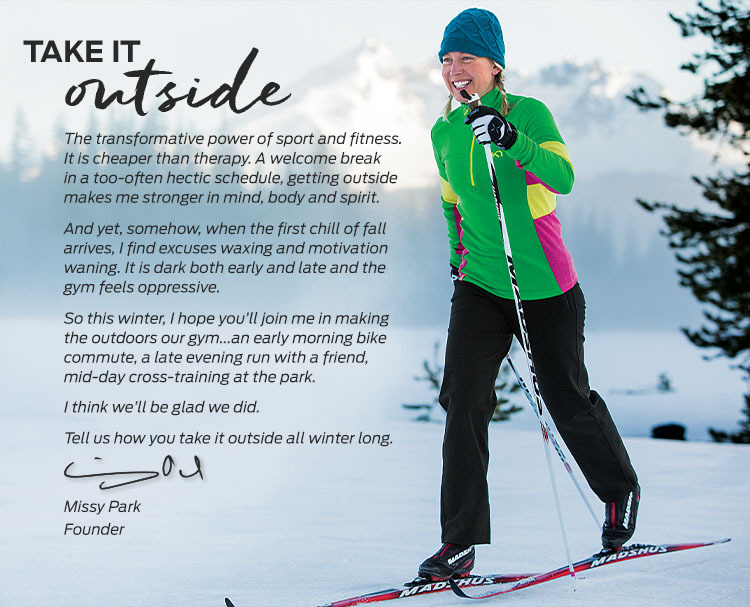 How do you squash the excuses and get outside, even as it gets colder and darker? 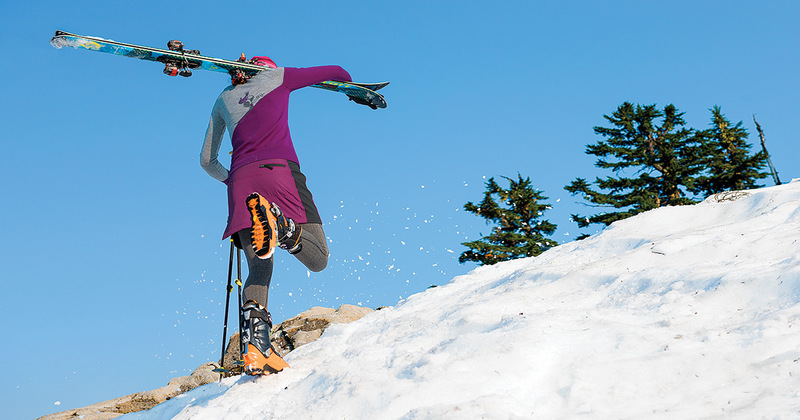 We want your tips and tricks for getting outside all season long! We spotted this article on Runner’s World this morning as our little toes and fingers were freezing off and talk of soups, casseroles and hearty meals had us counting the clock for lunch. However, in gearing up for the holiday’s we’re doing our best to stay true to our fitness goals and maintain the hard earned shape we gained over the summer. Enter, this article! You know we love our cream and a good bar of chocolate, but there is no harm in implementing a few of the tips below to keep you feeling fresh after that big bowl of homemade chili. Enjoy! Our in-house style experts’ winter picks are here! 1) Trixie cap: You can stay warm, look super chic and cover up a bad hair day all in one cute hat! 2) Jolie Long-Sleeve: This is basic shirt with a twist: slub fabric is super soft, feminine styling keeps you styling. 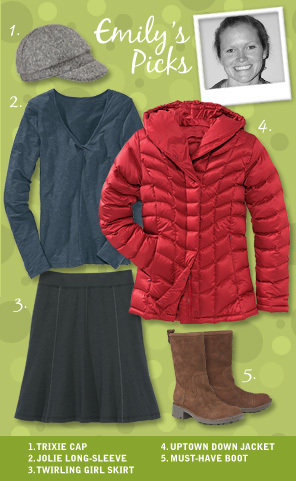 3) Twirling Girl Skirt: Comfortable, flattering and classic. It’s a must have all year round! 4) Uptown down jacket: Who doesn’t want to snuggle up in this jacket?! My favorite part is the high collar that doesn’t let the chill in. 5) Must Have Boot: Comfortable, warm and the perfect in-between height so that you can wear with skirts and pants. 1) Reflective Run Cap: Keeps the sun/rain out of my eyes, my hair out of my face and is so light it doesn’t make me overheat. 2) Valkyrie Long-Sleeve: It’s really nice to have a cool looking top to run in that is also so functional. Wicking and just warm enough for cool morning runs. 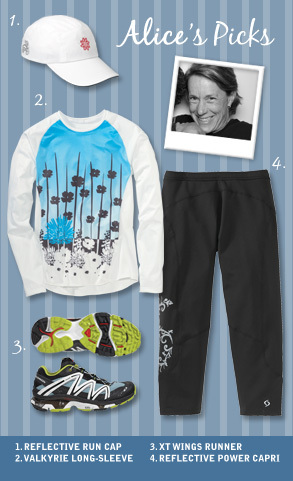 3) XT Wings Runner: Rugged enough for the trail and cushion enough to keep my old knees from aching. 4) Reflective Power Capri: Because they’re just the right weight for most morning runs and not too hot to wear to the gym.